The launch of the satellite Sputnik I by the former USSR on October 4, 1957 represented a monumentally important step for humankind. It was the first robotic representative of mankind to exit the protective blanket of the earth’s atmosphere and enter space. It also represented the capacity of a single nation - the USSR - to gain the “high ground” of orbital space and by its mere presence there, control it. 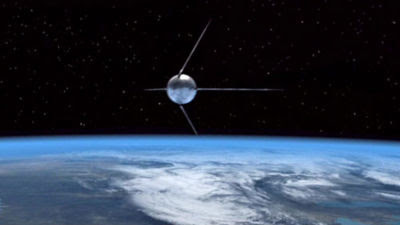 The tiny beeps transmitted by Sputnik I reminded the whole world that the USSR had the power and capacity to orbit directly over their heads safely out or reach of any other military power to stop it. It was, in fact, this very idea that sparked one of the most ambitious periods of human exploration in recorded history in the form of what would become known as the ‘space race’. Hence, not only did tiny Sputnik I threaten, it simultaneously sparked in the human psyche a primal need to reach out for various reasons. One – to protect national sovereignty. Two – to occupy a new territory before one’s competitors and enemies. And Three – to initiate a season of exploration and discovery that would take humans billions of miles outward into the deeper regions of the solar system. All of this was initiated by a simple 23 inch sphere armed with a simple one watt transmitter that signaled earth in 0.3 second intervals. 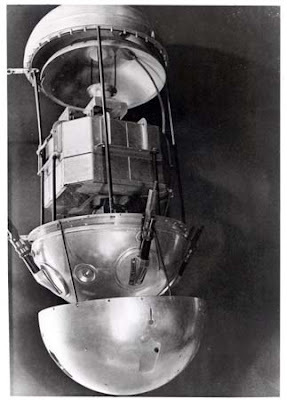 Sputnik I reentered the earth’s atmosphere and burned up on January 4, 1958. But its legacy will live on as one of the most significant of all human exploration activities – the first benchmark in the eventual human settlement of the space frontier.